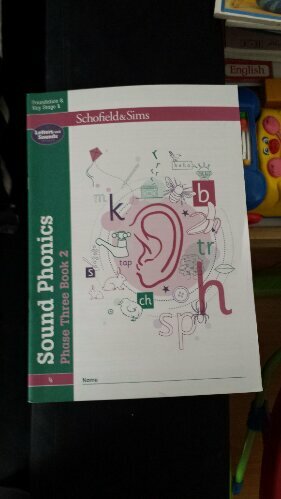 A number of you have asked me for the spelling pdf I mentioned in a recent post. Here it is. Bit of a longish description of how we learn English and some pics of stuff the kids have been up to in their English lessons. 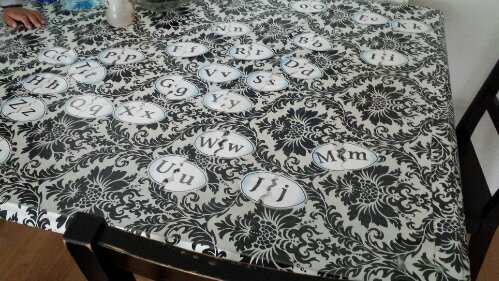 ..
We formally study English three times a week. I say ‘formally’ because we are a book loving family and most of our English studies occur informally. 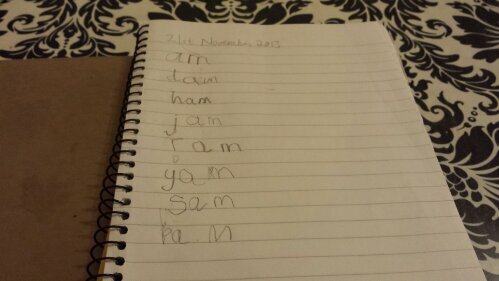 Each time we study English, R completes 1 page of joined up handwriting practice. She now writes in joined up handwriting. She’s amazed that it is faster than print. 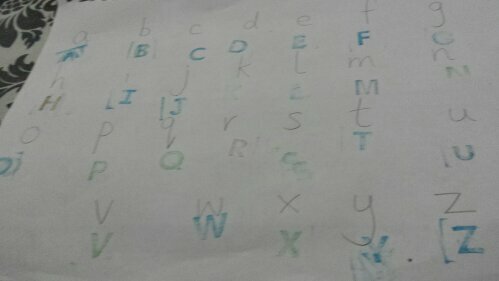 I give her a spelling test using a reception to year 6 pdf I found online which includes age appropriate spelling tests. She then completes another activity for English. This month, this is working through Galore Park. Next month we will be taking a break from that and instead work on a specific English topic for the month. Aside from her independent reading I’ve also asked her to start reading to me again. She’s currently reading this to me. 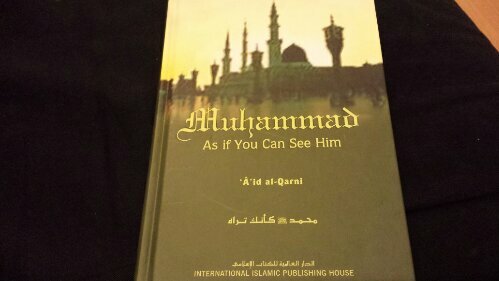 ..
I’m trying to ensure the books we read to each other are Islamic books as read aloud times are beautiful bonding moments. 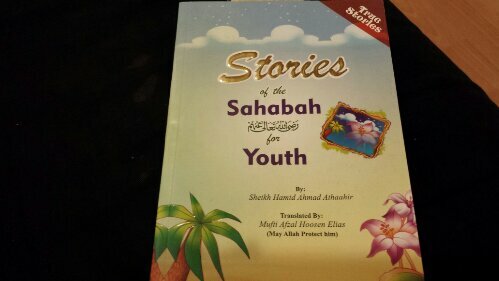 What is better to bond over than islamic books?! It’s nice because we often discuss what we’re reading which leads onto questions, opinions and how we can act upon what we’ve read. I highly recommend read alouds. It isn’t just for little ones. He then completes a fun hands on activity related to our current monthly topic for English. Y does exactly the same as zuzu but is not reading yet so does not read to me. And is working through a different workbook. I also read aloud to the boys a lot as I feel it helps them with their own reading. I’m currently reading The 7 habits of happy kids to them and lots of books they randomly bring me to read to them. Some of the hands on activities they’ve done recently. Can’t remember if I posted this. 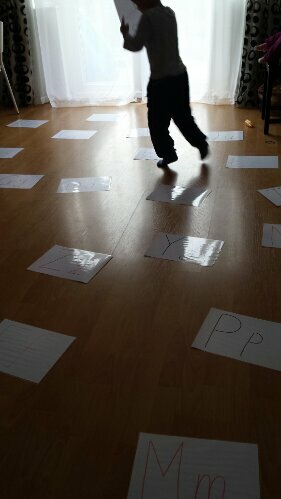 Boys running to different letters spread all over the floor. 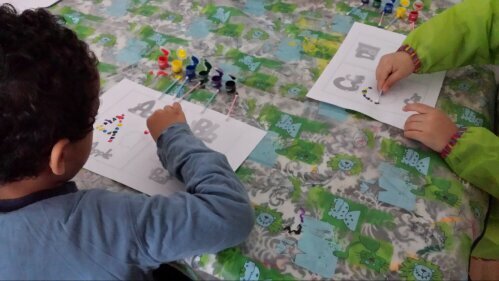 Matching uppercase and lowercase letters. 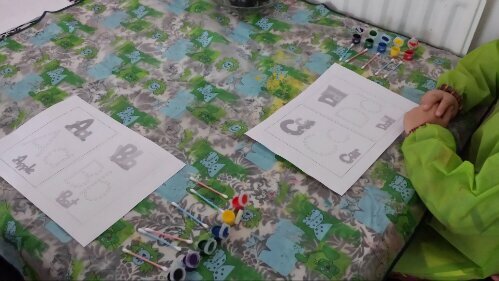 Q tip painting to teach uppercase and lowercase letters using a cotton bud and paint. We then made it into a book. 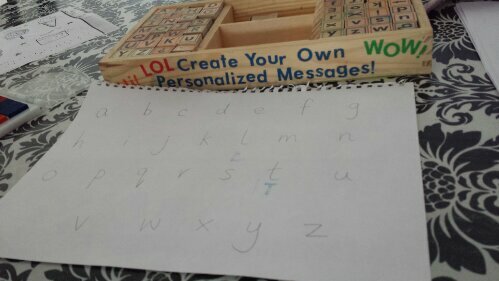 More matching uppercase and lowercase using letter stamps. I’m sure you can tell what one of our English topics was this month! The kids also use Reading Eggs, Reading Eggspress, Starfall and Spellodrome. What do you do in your English lessons?